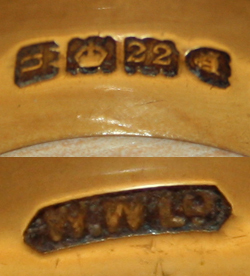 Help with hallmark on antique gold ring please? I have an Antique Gold ring that has been passed on from my husband's aunt. If possible we are trying to work out how old it is and approximate value? Please find attached photo of marks.